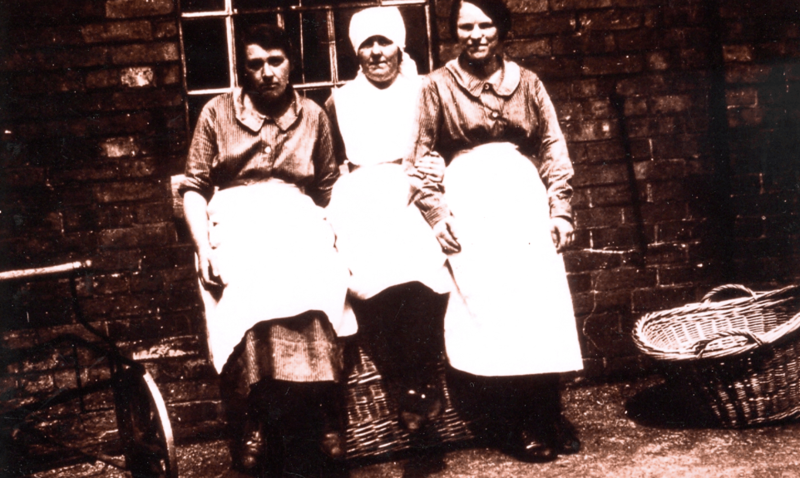 A fascinating ‘Women in The Workhouse’ exhibition opens on International Women’s Day, Friday 8th March, at the National Trust property in Southwell. The Workhouse at Southwell was the creation of The Reverend J T Becher built in 1824 as a place of last resort for the poor and needy. Its architecture was influenced by prison design and the harsh regime became a blueprint for workhouses throughout the country. Drawing on oral history archives, the exhibition focuses on the involvement of women in a range of areas through testimonies including those of a former Matron, nurse, seamstress, hairdresser, cook and inmate, all of which help to provide an insight into the changing nature of workhouse life. Visitors can discover moving accounts from those who have lived, worked or provided services to The Workhouse which have been collected by volunteers over the past fifteen years. It is hoped that the exhibition will act as a stimulus to visitors to share their memories of the institution and help to build our on-going record. Those who are inspired to find out more about workhouses in their own area can search a special database and discover what became of these imposing buildings. Artefacts, correspondence and photographs provide further insight into the often harsh reality of women’s lives during a period of great social change. Women also played an important role in bringing about change within the workhouse system through their involvement as social reformers and Guardians, a local example being Lady Laura Riding at the Southwell Workhouse. The exhibition is brought up to date with current staff reflecting on their roles and what The Workhouse means to them. ‘Oral history provides a realistic record of the good things and the bad, the kindness and the cruelties and seemingly insignificant details which help us interpret the real story of the workhouse’ says volunteer Samantha Ball who has been closely involved in researching the exhibition. Visitors to The Workhouse can see the exhibition as part of their house tour from 8 March to 3 November 2013. Normal admission price to The Workhouse is £7.50 for adults and £3.75 for children. National Trust members are free of charge. The Workhouse, Southwell opens to visitors for the 2013 season on Wednesday 27 February. Please see www.nationaltrust.org.uk/theworkhouse for details of forthcoming events. Peter Higginbotham – Author of Life in a Victorian Workhouse, The Workhouse Encyclopedia, Voices from the Workhouse and his latest release; A Grim Almanac of the Workhouse.